It is a self-evident fact that individual persons are born with and develop fundamentally different temperaments, predispositions, intelligences and casts of mind. For the moment we can set aside the debate regarding how much of these differences are the result of nature and how much are the result of nurture. The fact is that many misunderstandings take place between individuals because they simply possess different temperaments or casts of mind that set the tone, tempo and trajectory of their lives. One of the earliest resources for understanding psychological temperaments analyzes them in terms of the Choleric, Sanguine, Melancholic and Phaegmatic Types, as seen below. 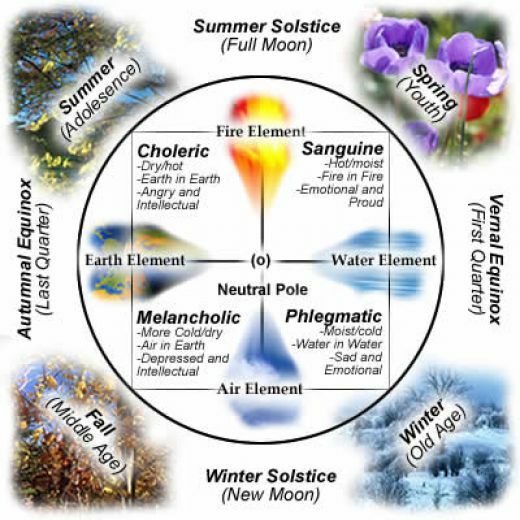 Traditionally these are correlated with the four elements, the fours seasons of nature, and the four seasons of human life. The Native American Medicine Wheel and the Celtic Quadrant of Knots give symbolic expression to the vision of wholeness that encompasses the four types. Another psychological Resource for mapping the different temperaments is the Jungian model that was popularized and adopted by the Meyers-Briggs Temperament Indicator and also by David Keirsey in his book, Please Understand Me II. Keirsey points out the historic parallels between the various four quadrant models of temperament. The names change but the concepts remain substantially the same. This insight into the ways that the different temperament types use Words and Tools helps to explain why the different types tend to talk past each other and live in different “quality/quantity, subjective/objective” worlds. We cannot change our underlying temperament any more than a leopard can change its spots, but we can come to a greater understanding and respect for the variety of temperaments. 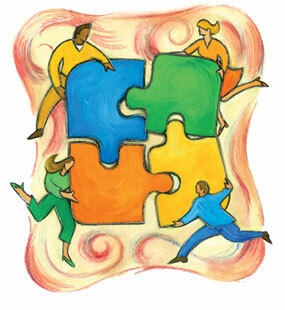 When we are with others who share our temperament we quickly realize that they speak our language. When we are with those who do not share our temperament we eventually figure out that we speak different languages, that we unconsciously, automatically and habitually use Words and Tools in different ways. The challenge of communication is to expand our ability to listen, speak and communicate in ways that uses encompasses both the abstract and concrete ways of using words and the cooperative and utilitarian way of using tools, depending upon the context of each relationship. Another popular resource for mapping the psychological types and casts of mind is the Enneagram. In this model there are nine primary points instead of four, and each point has a primary relationship to either sensing, feeling, or thinking. The three options in relation to each of these three points are the attitudes of attraction, repulsion and indifference. For the Enneagram, as for the Jungian Model, the goal is to come to a greater understanding of and appreciation for each of the various psychological types, and at the same time to recognize the limitations of fixating upon, reacting against, or ignorantly neglecting any of them. Ultimately the goal is not simply to define ourselves narrowly within any of the different types. For some it is to realize the integral nature of the True Self. For others it is to realize that the very notion of an Individuated Unitary Self (atman) is itself an illusion because all things are impermanent. Hindus and Buddhists have been having this debate for centuries. Whatever the case may be, a greater appreciation for irreducible psychological differences will go a long way toward helping us to understand each other and to live more harmoniously across our differences.